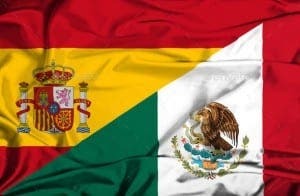 MEXICO is the 14th largest country in the world and 60% of the population are Amerindian-Spanish, also known as mestizo. The fusion of many other cultures in Mexico has led to the majority of Mexicans today speak Spanish. What’s impressive about this culture is that they put a high value on structure and hierarchy in family matters and business. Day of the Dead – In Mexico, this is actually a holiday to remember and pray for friends and family members who have passed away. IGT has been inspired by this celebration to create a game of the same name designed in 5 hexagonal reels with 720 ways to win. The game provider has captured the essence of this great celebration by incorporating symbols similar to this celebration as well as its reels layout and background. This game available at Magical Vegas comprises of features such as MultiWay Xtra™, Wild, Scatter awards and Free Spins Bonus. Gonzo’s Quest Slots – a creation of NetEnt designed in 5 reels, 20 payline game. This first platinum video slot game was inspired by the Governor, Explorer called Gonzalo Pizarro. He helped conquer Peru in the early 1530s and led rebellion against Spain in the 1540s. This game has recreated the wilderness of Peru in the background while having features such as Avalanche™ Feature, Free Fall and Wild. A short video is available at the start of the game where you can witness the escape of Gonzo from the Spanish ship. Mexican Piñata – The breaking of piñata accompanies almost every festive occasion in Mexico. DaGaCube – the quickly growing provider has been inspired by this fun activity of the Mexican culture to create a scratch-card. This game is super fun as it takes place at the feet of a mountain where a chubby boy is trying to hit the colourful donkey piñata. The prizes are as well very appealing as with every stake you have the chance of winning jackpots of £1,000, £2,500, £5,000 or £10,000. Spinata Grande – This creation of NetEnt has also recreated the Mexican culture. The game provider has given life to a background overlooking a small town that has been decorated for the celebration. Giant piñatas can be found in mid-air alongside a smashing fiesta with candy, confetti and colossal fun. Spinata Grande comes with colossal symbols, mini slot feature, free spins, and colossal wild and extra free spins! Mexico is known for many things, among which is its cuisine. Mexican cuisine is mainly a mixture of native Mesoamerican cooking with European, especially Spanish. Some of the famous delicacies are Enchiladas, Chilaquiles, Tacos al pastor, Tostadas, Chiles en nogada, Elote, Guacamole and Tamales. Mexico is as well famous for its tequila, made from agave cactus that is well suited to the climate of central Mexico. The country is closely linked with the Mariachi style of folk music. Originating in southern Jalisco sometime in the 19th century, this type of music involves a group of musicians playing guitars, basses, violins, trumpets vihuelas (a five-string guitar) — and wearing silver-studded charro suits and elaborate hats. Furthermore the Mexicans have famous art and literature artists such as Frida Kahlo and Diego Rivera as well as high fashion. The country even has its own Mexico Fashion Week! Mexican and Spanish themed online slots are fancied by nearly all slot enthusiasts as they mostly include colourful and beautiful symbols, while their features make the gameplay even more exciting. So you can expect to find Mexican and Spanish symbols such as guitars, peppers, tequilas, sombreros, and conquistadors on these online slots. A striking common characteristic of these games are that they come with clear and vivid graphics, which highly contributes to the unique exciting experience that can be felt while playing these games. If you are wondering where you could catch up with some of the Mexican/Spanish themed online slots, then you may start playing at Bingo Extra – the retro themed online bingo site where you will find over 200 slots, including Mexican/Spanish themed games. Aztec Idols Slot is one such online video slot where you will venture into the Mexican jungles along with the great adventurer known as Rich Wilde. This uncompromising hero will lead you to the Incas and Aztec in search of the lost riches and gold of this ancient civilisation. On this 5 reels, 15 pay-lines online slot that has been developed by Play’n GO, you will find symbols such as Aztec divinities masks, a sunstone, an Aztec temple, and the rugged Rich Wilde himself. Find your fortune on this game by exploring the ‘Pick the Idols’ bonus game, but beware of the poisonous gas booby traps. The sunstone will take you to the Sunstone Free Spin Feature where a random number of free spins is awarded. Gonzo’s Quest is a 5 reel, 20 payline online slot machine developed by NetEnt. Themed on the Spanish conquistador Gonzalo Pizarro, the game offers superb graphics and animations are found on this game, with the interactive character of Gonzo cheering you during the gameplay. You won’t find the usual normal reels on this game, as the symbols fall down from above thanks to the Avalanche Reels Feature. And when these Mayan themed symbols form a winning combination, they explode and disappear for other symbols falling from above to fill in the empty spaces left. This will allow the possibility of triggering multiple winning combinations in a single spin, where each new winning combo will gradually increase the multiplier up to 5x. In the same way, during the Free Spins feature, you can earn a multiplier of up to 15x on consecutive wins during a free spin. You can take a trip to the Aztec civilisation in the quest for hidden treasures by indulging on the 5 reels 25 pay-lines Aztec Rising Slot. This unique game is a creation of Eyecon and will make you discover the rich culture of the Aztec. With a soothing soundtrack and a background projecting an Ancient temple in the middle of the dense Mexican jungle, Aztec Idol is definitely a game worth trying. The Wild Temple symbol substitutes for all other symbols on this game except for the scatter. Features on this game are the Prize Pick Feature, where you can win prizes of up to 100x for each pick, and the Aztec coins can lead you to the Free Spins feature, where all prizes are doubled on up to 25 free spins.